Swedish blogger and columnist Backman writes his second novel, following the successful A Man Called Ove. His style is similar to another Scandi hit (which has been made into a movie), called The Hundred Year Old Man Who Climbed Out The Window And Disappeared. The latest Scandi trend often juxtaposes the lives of the cranky and elderly with younger generations, particularly, in this case, with the very young. Friendships are forged and naughty deeds perpetrated by irresponsible octogenarians teamed with spectacularly precocious children. Seven-year old Elsa is in crisis; her mother and new partner are now expecting their own child. 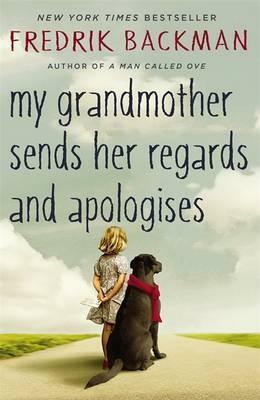 Elsa wonders whether her mother will still want and love her, as by her own recognition she is an ‘odd ball’. Compounding Elsa’s turmoil, her beloved grandmother has just passed away. However, Granny led an unconventional and colourful life and obviously intends to continue do so from beyond the grave. She charges Elsa with delivering letters to friends and family, apologising for her at times mad behaviour; though, as we find out, there was often method behind the madness and Granny, it seems, had a huge heart, if sometimes obscured by her wacky ways.